Blog WordPress Optimization and Tutorials How to Provide Email Subscription Option on WordPress Comment Form? 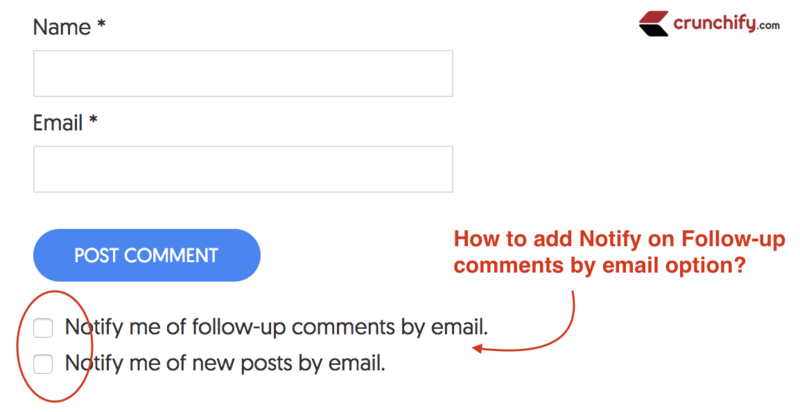 By default WordPress comment comes with standard form with Name, URL, Email and Comment textarea. 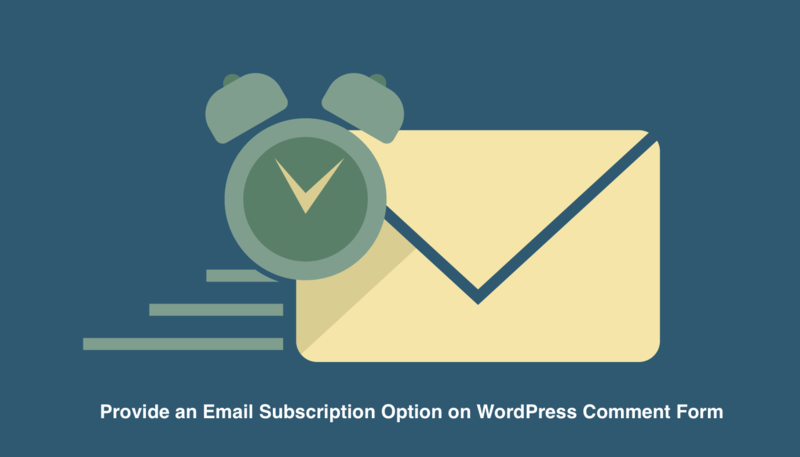 Have you ever wondered How to Add Email Subscriptions to Your WordPress Blog? In my opinion, it’s missing email notification functionality which was good in Disqus. After playing with couple of plugins to add those functionality I would say now we found the perfect solution for that too. Initially I setup Subscribe To Comments Reloaded on my site. It comes with lots of options. After all detailed configuration and setup this is how subscription option looks like on Comment Form. I believe, there is absolutely no need for you to add these 3 extra files on each page. That’s one of the reason we disabled plugin in just few days. 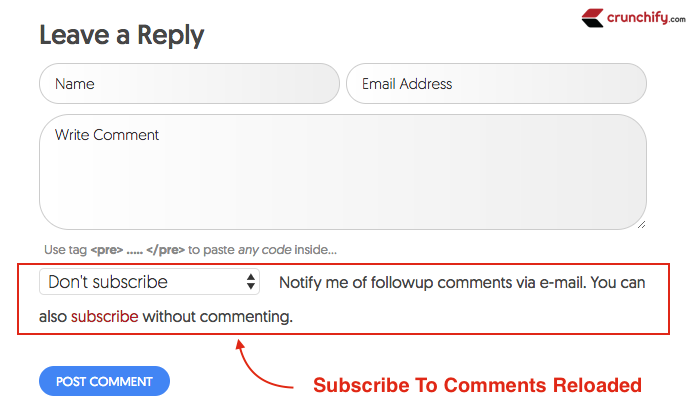 Then how to Allow Users to Subscribe to Comments in WordPress? There are few other WordPress plugins also add these functionality: Subscribe to Comments, Email Subscribers & Newsletters and more. As we are on Jetpack’s Business Professional plan since long time there is no need to install extra plugin just for this requirement. 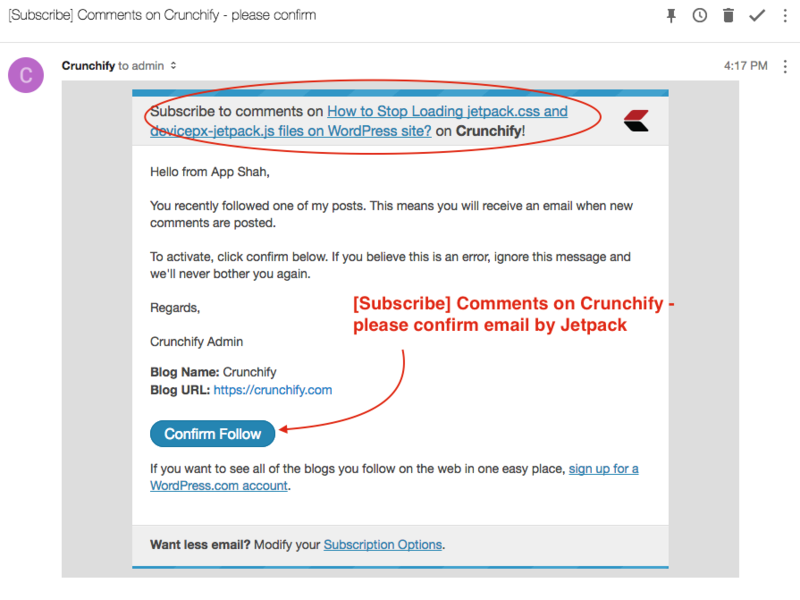 I’ve enabled Subscription module in Jetpack and it by default adds email subscription option on your WordPress comment form. As you see in above image there is a Configuration link by which you could enable or disable any of below options. 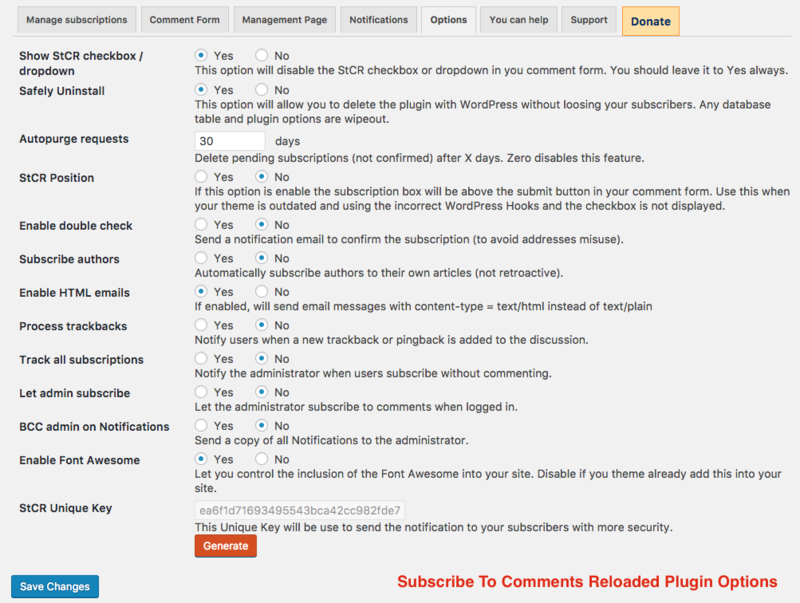 I would suggest to enable both options as you don’t want any additional plugin for users to subscribe to your blog. If you are wondering how subscription email looks like then take a look below. 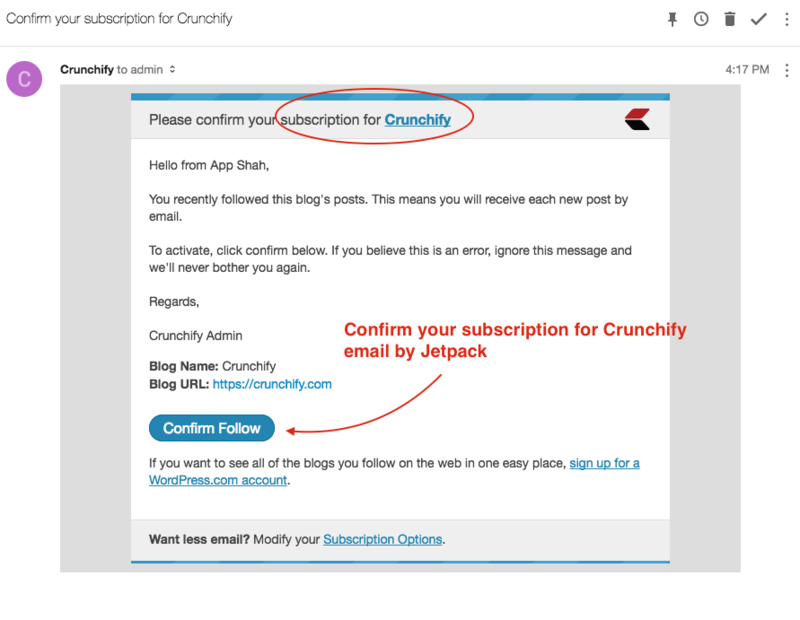 This Jetpack's subscription form is already working best for us and we will continue using it in the future too. Let us know what is your best email subscription form for Comments. Update-1 On August 1st, 2017: We disabled Jetpack on Crunchify as we saw significant page load increase time after JetPack with only 2 functionality. Currently Subscribe to Comment is disabled for all users. thanks for sharing this information this is too useful for us and the idea is relevant Provide Email Subscription Option on WordPress Comment Form. You are welcome Kartik. Yeah Jetpack is one of the better comment system out there. I’m using that on my other dozen’s of blogs. Clearly you have gone back to Disquss… why? Hi Dan – so far it’s working well for us. As you see on Crunchify, we don’t have ads on site from Disqus. As fas it’s clean on site, i’m fine.